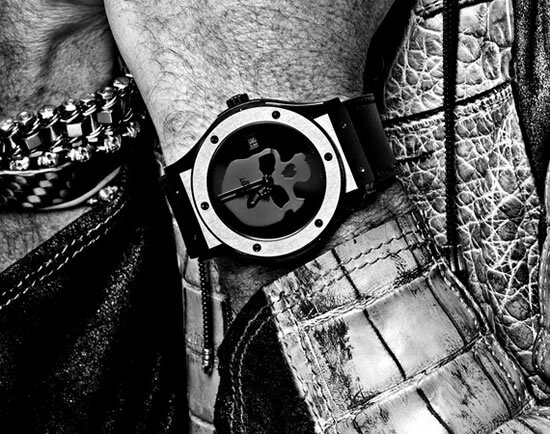 Case: "Classic Fusion" Diameter 45 mm, polished and satin-finished black ceramic. Bezel: Satin-finished black ceramic 6 o’clock -12 o’clock 6 H-shaped countersunk black PVD titanium screws Sapphire with anti-reflective coating. 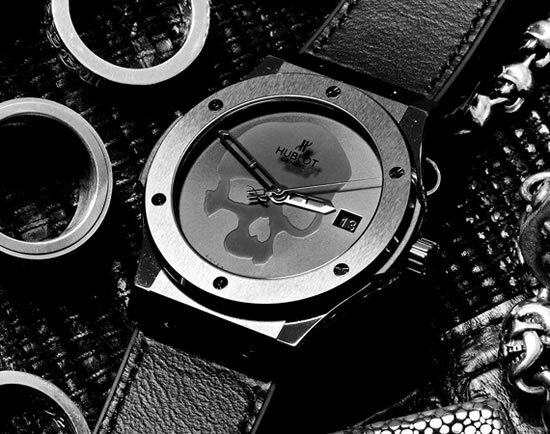 Case-back: Polished black ceramic Sapphire crystal with interior anti-reflective treatment Black “Skull Bang” transfer, transparent skull outline on a back background, through which the movement can be seen. Dial: Black galvanic sunburst Black “skull” transfer. 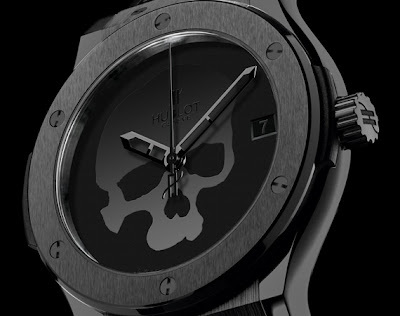 Hands: Faceted, diamond-polished, skeleton, black galvanic. Movement: HUB 1112 automatic movement. Wristlet: Black leather strap stitched onto black rubber. Limited to only 100 units worldwide, all will be available exclusively at Chronopassion/Hublot Paris flagship on 271 rue Saint-Honore.